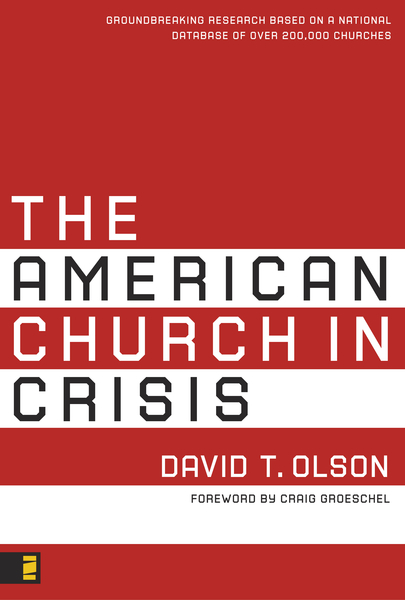 In his book The American Church in Crisis, David Olson reveals that 77 percent of Americans do not have a consistent, life-giving connection with a local church. He further states that of the 23 percent who are considered “regular participants” in the life of a church, attendance has dropped dramatically—a regular participant is defined as a person who attends church at least three out of every eight Sundays. In Greg’s experience leading a megachurch and working with children’s ministry leaders, they discovered that many children participated only one out of three weekends. This drop in church attendance creates dramatic challenges for churches that adhere to a traditional children’s discipleship model, with children’s classes during the weekend service as the primary mode of teaching children to follow Jesus. So what is the alternative? How can we best care for children in our church? We believe there are four fundamental shifts that must take place among church leaders and the way they approach ministry to children. First, the church must shift from a “we can disciple your kids and you can help” attitude to “you can disciple your kids and we can help.” We were never intended to hire professionals to teach our children about Jesus. Or to allow professionals to show our children how to follow Jesus. Or to transfer the responsibility of discipling our children to others. As parents, grandparents, guardians, or caregivers, we are responsible for passing on our faith to the children God has entrusted into our care. 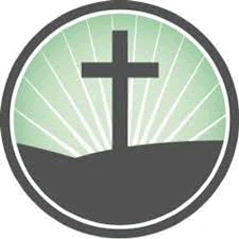 Second, the church must shift from children’s ministry as a support ministry that provides child care while adults attend the worship service to children’s ministry that has a clear discipleship focus on training children to follow Jesus. To really disciple children and help them to follow Jesus, children’s ministry in our churches must shift from being a support program to a ministry that is central to the mission of the church. The focus must be on discipling children as an end in itself—a worthy goal—and not as a means to attract and retain adults. Third, the church must shift from age-segregated to age-integrated. There is an incident in Matthew’s gospel where a group of parents bring their children to Jesus so that he can pray for them and bless them. Jesus’ disciples shooed the little kids away—respectable rabbis never paid attention to little ones. But Jesus rebuked his disciples: “Let the children alone, don’t prevent them from coming to me. God’s kingdom is made up of people like these” (Matt. 19:14 MSG). We are challenging you to look for appropriate opportunities that would allow children to fully participate in the life of the church. Fourth, the church must shift from children “receiving” to children “giving.” Children aren’t the church of tomorrow. Children are the church of today. Children have gifts and insights that are needed in the body of Christ. 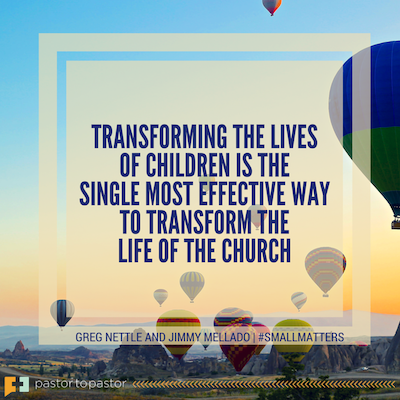 Transforming the lives of children is the single most effective way to transform the life of the church. Children are not the church of tomorrow; they are the church of today. 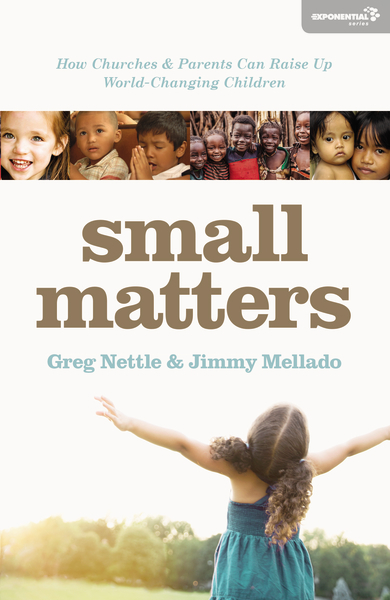 — by Greg Nettle and Jimmy Mellado, adapted from their new book Small Matters: How Churches and Parents Can Raise Up World-Changing Children. Small Matters will show you how to accomplish the 4 shifts above. Small Matters gives you a model of discipleship for raising up the next generation to be deeply committed to and in love with Jesus. Consider this: children between the ages of four and fourteen are the most likely to make a decision to follow Jesus…and the discipleship children receive forms their future. This book will transform the way you view children, invest in them, reach out to them, teach them, and ultimately empower them to be disciples of Jesus. For a limited time, save 60% on select leadership and church resources. Plus – use promo code SALE25 for FREE shipping on orders of $25 or more. Offer expires 4/30/16.